SUP dog? That's the preferred greeting when encountering a K9 aboard a standup paddleboard. Not only is stand-up paddleboarding (SUPing) great for puns, it’s also a great offseason workout for skiers. Although a day spent gliding along your favorite body of water may seem purely recreational, SUPing is great for improving balance and strengthening your core. 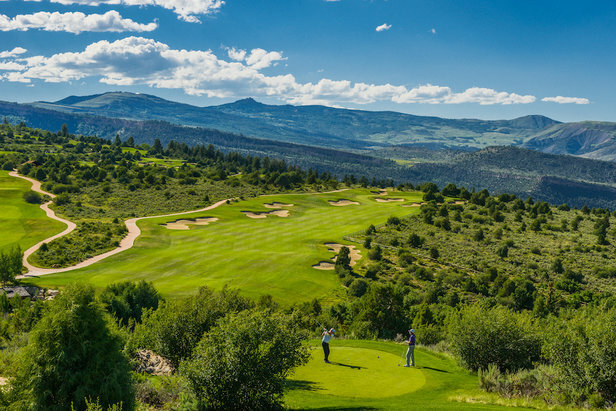 If you’ve got the snowmelt blues, then maybe it’s high time to head into ski country and pick up a paddle at one of these top five destinations. Lake Tahoe offers nearly 22 miles of paddleboard access on all sides and is surrounded by a variety of iconic ski areas, including Heavenly, Homewood and Diamond Peak. Lake Tahoe’s average surface elevation of 6,225 feet makes it the highest lake of its size in the United States. Bend, Oregon, not only offers great skiing and riding at nearby Mt. 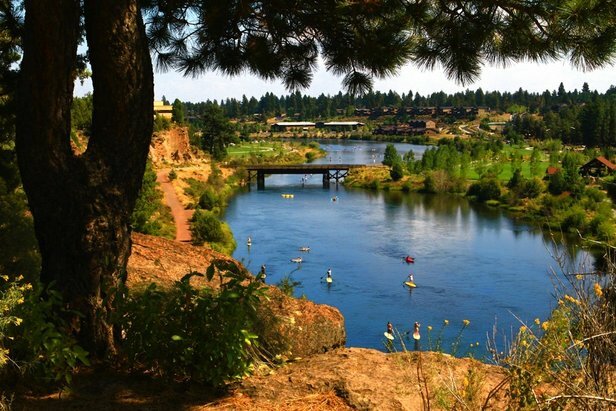 Bachelor, it also provides endless opportunities for paddleboarding, perhaps the most iconic destination being the Deschutes River. 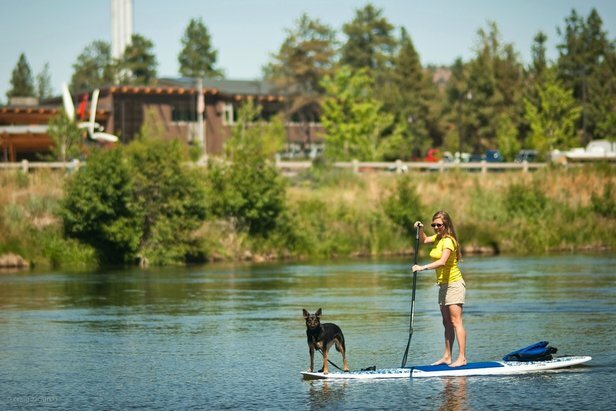 Gliding alongside the Old Mill District, the Deschutes offers a slow moving current that’s perfect for floating lazily with your elated four-legged friend. If you’re not planning on running a shuttle, make sure you leave yourself enough energy to paddle upriver once your float is complete. Summit County is home to multiple Colorado ski areas, including Breckenridge and Keystone Resort. Lake Dillon rests between the two, offering paddleboarders beautiful views of the Continental Divide and more than 26 miles of shoreline. Try and launch your vessel in the morning or late afternoon, as this area tends to get windy around 10 a.m.
Once the snow melts off the slopes of Stowe Mountain Resort and Smuggler’s Notch, Vermonters head to Lake Champlain, located between the Green Mountains of Vermont and the Adirondack Mountains of New York. This expansive body of water stretches out 125 miles in length, providing 587 miles of shoreline and endless mountain views. String Lake, located 21 miles from Jackson Hole Mountain Resort, allows paddleboarders to pursue their passion within Grand Teton National Park. String Lake is shallow and easily accessible from the parking lot, making it a great choice for beginners. If you’re looking for something a little more challenging that’s still within park boundaries, head over to Two Ocean, Jenny or Leigh Lakes.